Financing Disclaimer - The total amount financed is equal to $12495 after down payment in 182 payments. A time price differential accruing on the balance at the rate of 4.9% per year from the sale date until maturity will be applied. The time price differential accrues on a 365 day basis. If the loan payments are defaulted, late fees and finance charges on the unpaid balance at 4.9% per year will be applied. The amount financed, number of payments, and payment amount shown are subject to change depending on title fees, taxes, $299 processing fee, and aftermarket products purchased. Payments and interest rate shown are an example based upon approved credit. All Customers will not qualify for same rate and down payment. No Credit Check financing is available at a higher rate. Please see dealer for details. Vehicle Details- During our reconditioning process, some listings may display stock photos from the manufacturer. These photos may not match exactly to the actual vehicle for sale. While every reasonable effort is made to ensure the accuracy of this information, we are not responsible for any errors contained on these pages. 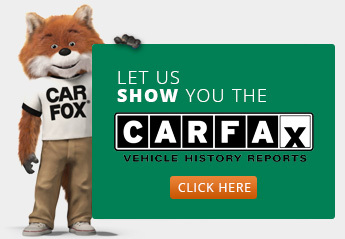 Please verify any information in person at Car Credit Nation. I had such an amazing experience from the time i walked in up until i drove off the lot in my new used car the staff at Car Credit Nation were absolutely amazing, and questions or concerns i had they put them all to rest. Michael and Sean were so nice and kept me informed with everything that was going on. I am now the proud renter of a new used car. I love it. I would highly recommend Car Credit Nation to anyone looking to get a new used car, there amazing to work with. I will definitely go back for my next car. Thank You!!!!!!!!! It was a year ago but I didn't have a google email address to give my review. I actually was a bystander as my bf bought his 2002 Mercedes from Priscilla. She was wonderful. If it wasn't for the long process and animated videos, I would rate 5☆. I would highly recommend buying a car from Car Credit Nation. They will work with you on the down payment as well as when your payments are due based on your paychecks. Another great aspect is the free oil changes per the length of what you are approved for. The mechanics shop has been great at checking out any issues that arise and have resolved any that have. Awesome and straightforward salesman Mr.Jack Keller! I had stopped in earlier today spoke with him, came back when husband came home and he stayed until the deal was done! Which was past closing time! Got the extra warranty and GAP coverage as well for well worth the cost which they financed into my payments!!! And they offer autopay! Perfect for me and my busy life. God continue to bless Car Credit Nation and their crew! Our experience was great. Jack was very professional, explaining everything to us step by step. Most salesman are very pushy but Jack was not. Everyone was great!! Walked in spoke with Jack explain what I needed and when I needed it. Jack worked it out with Sean and got me into a very nice car. Thank you fellas for the hard work! We might of had our moments there for a minute but was definitely a good decision to go with. Building my credit and got a reliable car with some good additional packages! I came in looking for a new vehicle. I don't know how to buy a vehicle, but Jack was amazing. Jack helped me thru the whole process, hell he even knew what car I wanted before I did. He helped me choose the right vehicle for me and my children. I can't be happier with the experience and the vehicle. I would recommend them to anyone. Thank you Jack your awesome! Fast, easy and I got the car I wanted with no hassle. Dylan, Jack and the rest of the staff were amazing. I like paying with each pay check so I don't have a big amount coming out all at once. Our experience was awesome Jack and Sean were very helpful. It was fun and hassle free. Very pleased with my vehicle. Would highly recommend Car Credit Nation. This dealership was awesome. Mr. Jack Keller made sure he got me into what I wanted. The wait was a breeze and price was reasonable for my situation. Thank you Mr. Keller!! I would definitely refer him to friends and family. I love my new car! We found the dealership on line, the process was super easy to apply for credit. Michael contacted us and with in 6 hours we had our car signed, sealed, and delivered. It was super busy in the dealership and he multi-tasked with ease. I never felt rushed or pushed in any direction when choosing the car we wanted. This was a car for me, not my husband and Michael actually talked to me! Asked me what I wanted and needed. The dealership Car Credit Nation in Winchester, Virginia is the place to go if you've had a bad experience with other dealers. Honestly, that's exactly what happened to me. Jack helped my toddler daughter and me, get into a safe reliable vehicle and was diligent in his efforts to help us. He is number one in my book and has over 10 years of service to prove it! The car I chose was one I would've wanted and not one only because of my credit. I recommend anyone that is looking for a vehicle with no credit bad credit or rebuilding their credit to drop by Car Credit Nation and talk to Jack. Enjoy. If you're looking to get a vehicle, come here! This place is amazing! After being turned down at three other dealerships, I was able to come in and get a car that very same day! The team here is amazing and patient. I worked with Priscilla who is wonderful. She was patient and kind. I will definitely be coming back and I'll be referring anyone I know to come here. Jack was super nice. Approached us right away for help. He had a customer at my arrival, but made sure to get to us the moment he could. Love the car i just bought , and he was very patience . They will actually put you into a car with no hassle. I just got my 2nd car.